Welcome to your new home in the stars, complete with a built in teleporter network that you can activate as you explore the world. Special care was taken to leave the world untouched aside from the scattering of small buildings on the surface that serve as your teleport destinations. 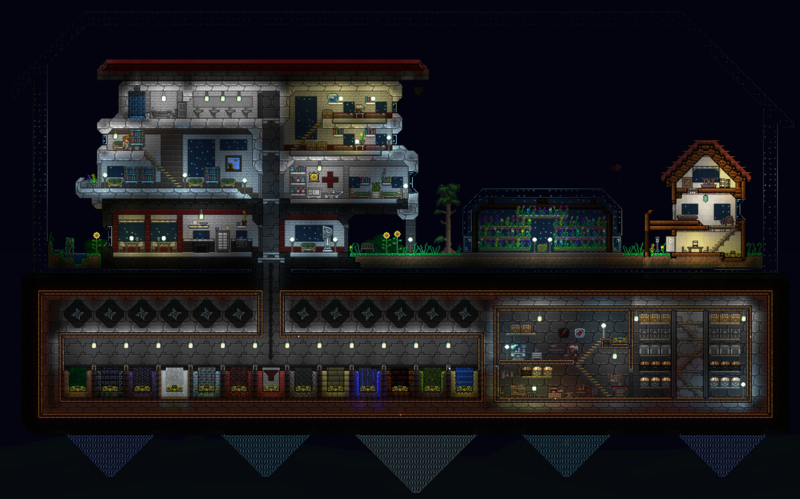 Collect your NPCs, assign them to homes, play as normal, just with a fancy new home! Each of the small homes scattered around the map has a chest containing a wrench and a few wire - enough to complete the connection back to your home base. Expert mode can be found under additional files, the default download is a normal difficulty map.